Aveda is dedicated to protecting the environment and showing love for clean water. A big part of that mission is Aveda Earth Month. It’s just around the corner, and we’re thrilled to be a clean water partner again this year. Aveda celebrates Earth Month in a big way. Every year, their salons and stylists across the country raise money for a cause very close to their work: clean water. For the 12th year in a row, Aveda salons and stylists will raise funds for the Alliance. Over the years, they’ve raised $3.7 million to protect the Great Lakes! Gordon Salon held a Catwalk for Water fashion show and fundraiser. 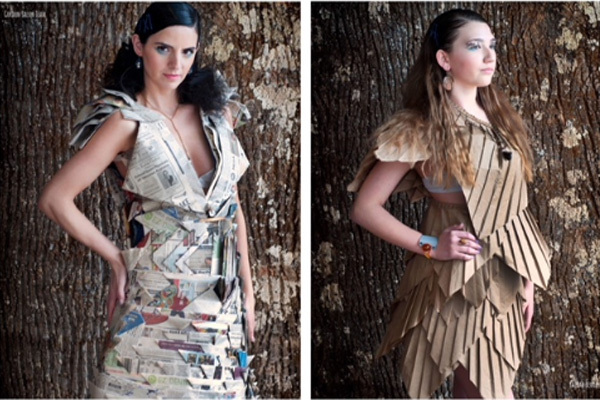 Models wore outfits made from recycled material. 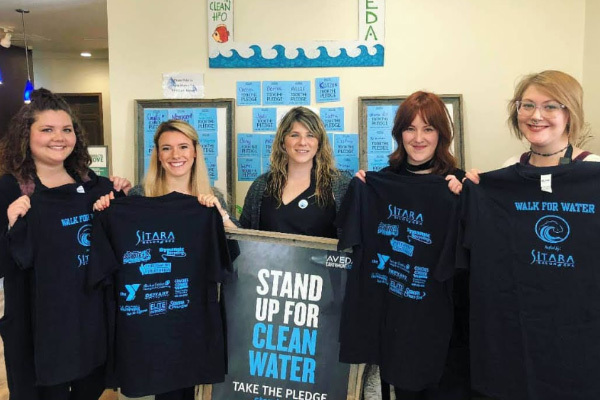 There are hundreds of ways to support clean water, and Aveda salons and stylists take that to heart with creative and fun events. Fashion shows, dog walks, yoga classes, beach walks, and cut-a-thons are just a handful of the ways they raise funds. Salons and their customers aren’t afraid to get their hands dirty either. A number of salons host Adopt-a-Beach cleanups — protecting the lakes on the ground! Sitara Salon and Spa walked for clean water. Aveda Earth Month donations make so much of our work possible. The fundraising puts volunteers on beaches, educates people — including youth — about threats to the lakes, and facilitates hard-fought policy wins. Aveda’s theme this year is Show You Care in Your Local Community. And we hope you’ll join us and the salons and stylists in doing just that. It’s easy and fun to get involved. You can find an event near you on our Aveda Earth Month 2019 page. 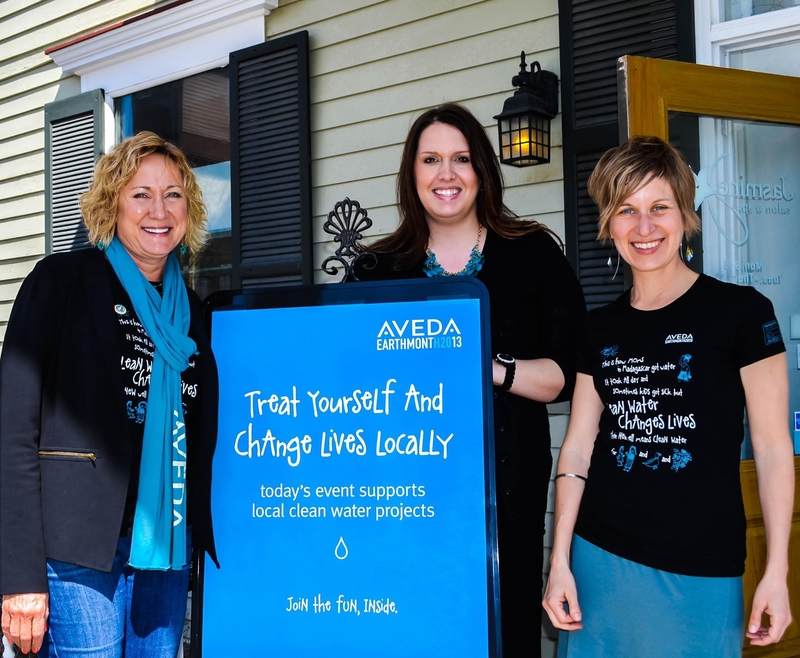 Thank you to Aveda salons and stylists for all you do to protect clean water and the Great Lakes. Learn more about Aveda Earth Month and how you can get involved!